Stratolaunch, the company that was founded by late Microsoft co-founder Paul Allen, has finally hit an important milestone in its short company history. 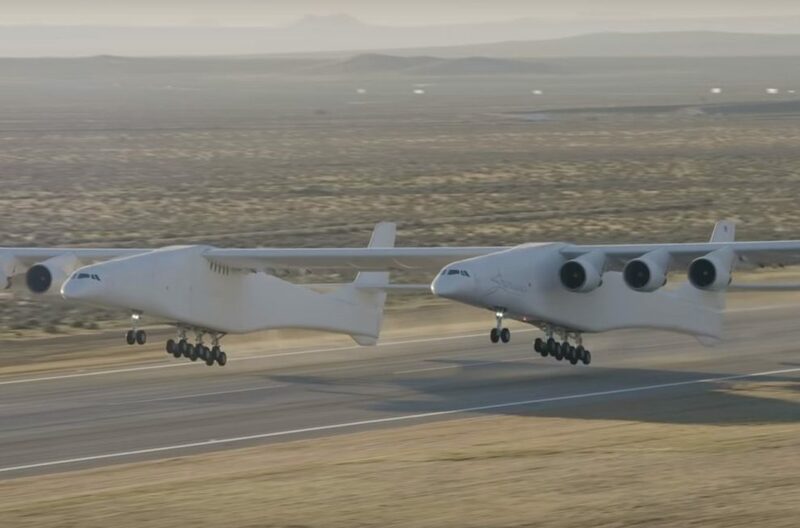 The company, which aims to take on the likes of SpaceX, Blue Origin among others, has finally successfully completed the first flight of ‘Roc’ — world’s largest and the most weight carrying plane till date. Roc, which was completely white sans any livery on its maiden flight, has a wingspan the length of an entire American football field. It is powered by six engines on a twin fuselage. Achieving a maximum speed of 189 miles per hour, the plane flew for 2.5 hours over the Mojave Desert at altitudes up to 17,000 feet. As part of the initial flight, the pilots evaluated aircraft performance and handling qualities before landing successfully back at the Mojave Air and Space Port. Stratolaunch’s purpose is to make satellite launches easy and cheap. Cheap to the extent that it becomes as easy as booking an airline flight ticket. The Stratolaunch aircraft is a mobile launch platform that will enable airline-style access to space that is convenient, affordable and routine. The reinforced center wing can support multiple launch vehicles, weighing up to a total of 500,000 pounds.